This custom Proto Executioner Alien automatic knife was handmade by Kyle Vallotton. 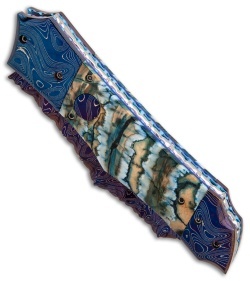 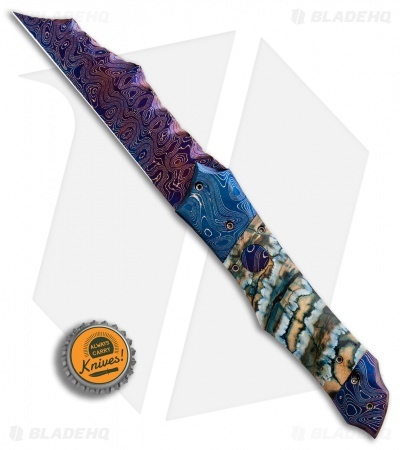 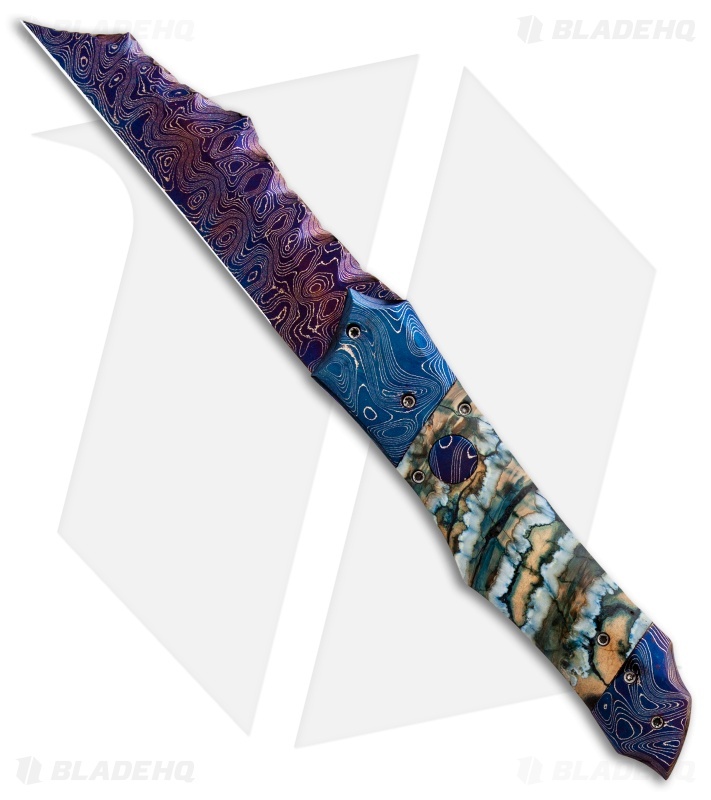 It features a unique blade made from Chad Nichols "Blackout" Damascus steel. The handle is outfitted with green mammoth molar scales, Chad Nichols "Boomerang" Damascus bolsters, and a matching Damascus push button. 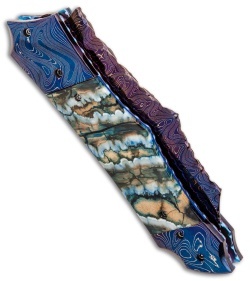 Purple anodized titanium liners and a stainless steel backspacer with custom filework complete this exceptional collection piece. Includes a signed certificate of authenticity.